One day Guru Nanak confided to Bhai Sadharan that he was passing away on Asu 10. 1596 Bik. The news spread like a wild fire and people started assembling at Kartarpur sahib. Before that Guru sahib had declared Bhai Lehna as his successor. Guru's sons and family vehemently opposed Guru's decision and were even conspiring to beat and expel Guru Angad from Kartarpur. Guru Nanak therefore advised Guru Angad to leave Kartarpur for Khadoor sahib. Guru ji passed away and then a quarrel among Hindus and Muslims arose as to how Guru's body is to be created. 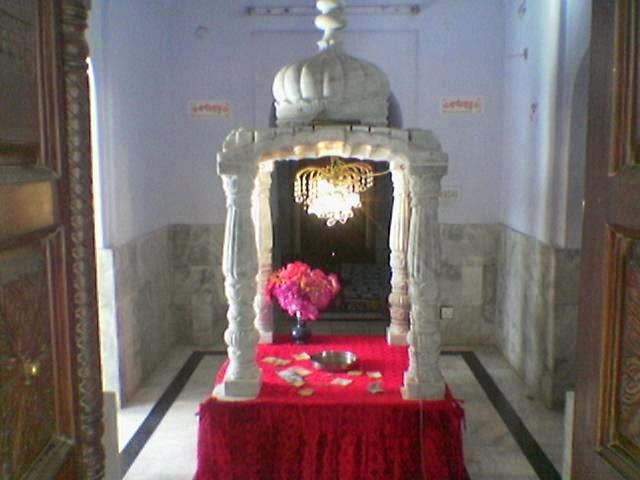 It is said Guru sahib then met a faqir and gave the solution to dispute. The faqir then advised the Hindus and Muslims to keep flowers on the body of Guru Nanak and in the next morning check whose flowers. Whosoever's flowers were found withered the next morning would loose the claim. It is related that the next morning when the cloth sheet was removed the Guru's body was missing and both sets of flowers were found as fresh as when they were placed. The two communities then decided to divide the cloth sheet that covered the Guru's body and together with the flowers that they had place, one burying it and the other consigning it to fire. 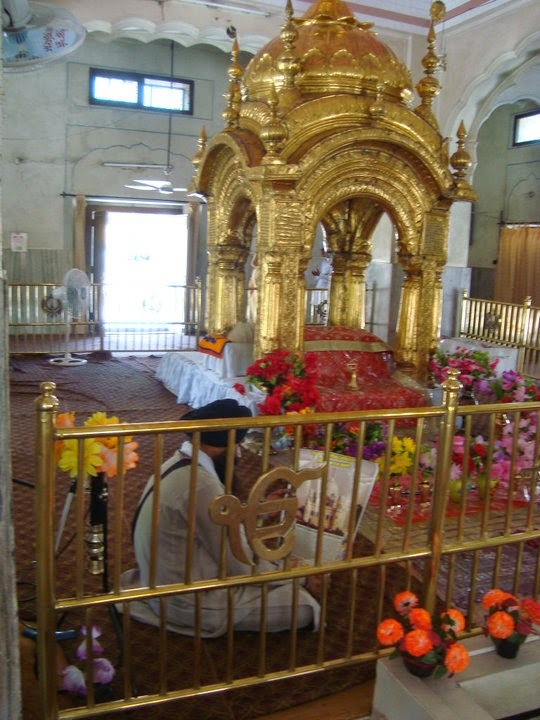 Therefore, both a samadh (Hindu tradition monument of remembrance) lies in the Gurdwara at Kartarpur and a grave (according to Muslim traditions) lies on the premises as a reminder of this joint claim to Guru Nanak Dev ji by both the communities. The grave is outside the Kartarpur building. However in the year 1684 Ravi had a devastating flood which washed away both the grave and smadh. 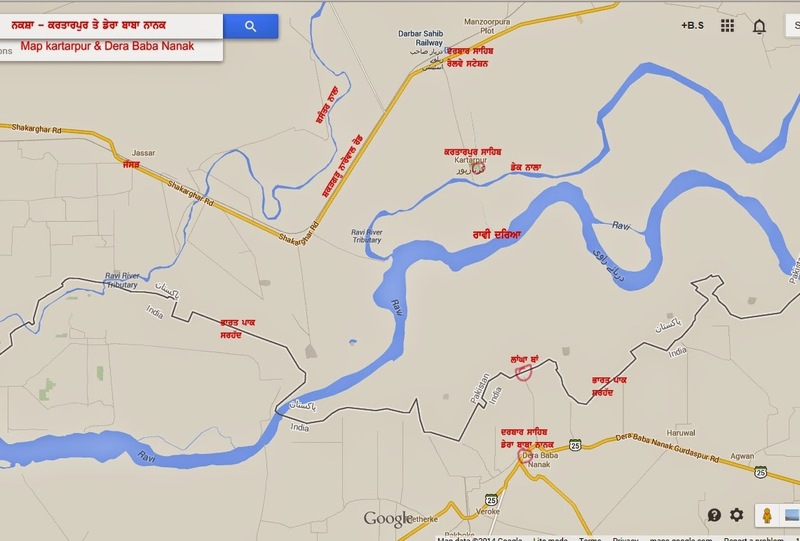 Guru's Bedi descendents then erected another monument on the left side of river Ravi. It received a lot of criticism because Guru prohibits worship of graves and smadhis. 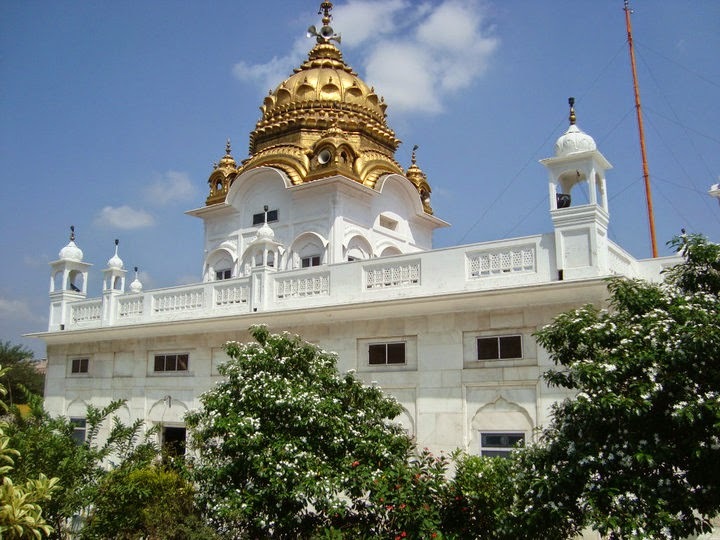 The third monument was called Dehura and therefore a city was founded which is now known as Dera (Dehura) Baba Nanak. It is a sub tehsil of district Gurdaspur and is 50 kms from Amritsar and about 40 kms. from Batala. KARTARPUR IS THUS UNBELIEVABLY STRANGE AND MYSTERIOUS PLACE BECAUSE THERE EXIST THREE MAUSOLEUMS OF A SINGLE PERSON: GURU NANAK, AND THAT TOO SPREAD IN TWO WARRING COUNTRIES; INDIA AND PAKISTAN. It is just about 4 KM from Indo-Pak border on the right bank of river Ravi in Pakistan and is visible from Border. On the demand of Sikhs, the Pakistan Govt has agreed to grant a FREE CORRIDOR i.e entry without passport/visa. John McDonalds ex- UN member and peace maker visited Corridor site on June 20, 2008 and emphasized that this Corridor holdS key to Indo-Pak peace. The present President of India Sh. Pranab Mukherjee visited the Corridor site on June 28, 2008. On Oct.1, 2010 the Punjab Legislative Assembly unanimously passed a resolution urging the Govt of India (Central Govt) to immediately approve the Corridor Plan and ensure early opening of the Corridor. IT IS 14 YEARS NOW AND GOVT OF INDIA IS YET TO ACCEPT IT. People are continuously praying to God so that He blesses peace sense to India. Daily thousands of people visit Corridor site and have a glimpse of Kartarpur from distance while 2.5 million people visit Corridor Point on Border between March 1 to 15 every year. A found this article very informative and most of the information was not known to me before. Now I feel well educated on this subject. Thanks for sharing this article in a comprehensive manner.